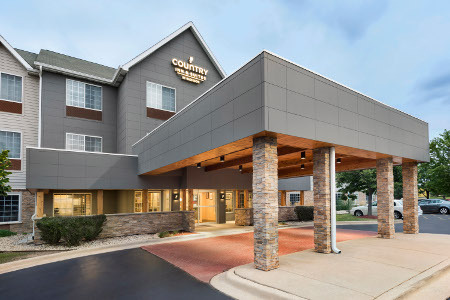 Just off Exit 263 on I-55, the Country Inn & Suites® by Radisson, Romeoville, IL boasts a quaint and quiet location 30 miles southwest of Chicago. 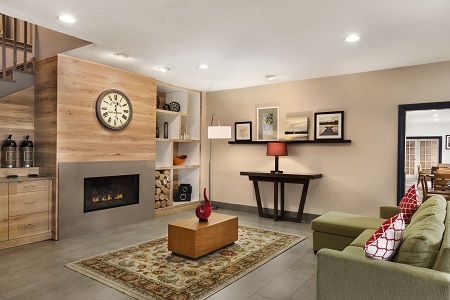 Our hotel offers pet-friendly rooms and suites with contemporary amenities like refrigerators, microwaves and work desks, making us a favorite stopover for both families and business travelers. 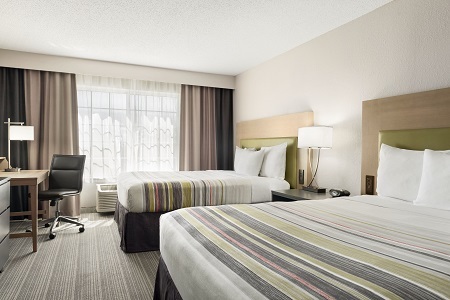 Fuel up for a conference or sightseeing excursion with our free, hot breakfast. Choose from flaky pastries, fresh fruit, Belgian waffles and more. For a taste of local flavor, visit one of the eateries within a five-mile radius of the hotel, like Ats-A-Nice Pizza or El Barrio Mexican Restaurant. 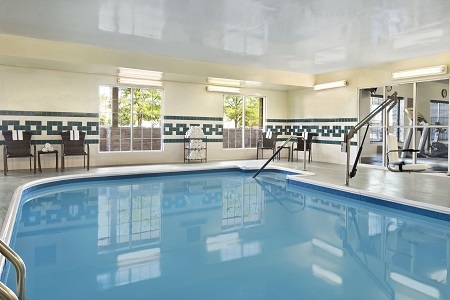 Downtown Chicago – Make the 30-mile drive to downtown to shop, dine and see the famous Willis Tower. To make lifelong family memories, attend a Chicago Cubs game at Wrigley Field or pose for a photo in front of the Cloud Gate sculpture in Millennium Park. Bolingbrook Golf Club – Each hole at this award-winning championship golf course presents a new challenge. Leave the stress of work behind and unwind with a few rounds at these greens, located less than two miles from the hotel. The Promenade Bolingbrook – With a wide swath of stores ranging from American Eagle to Zumiez, this outdoor shopping center and dining destination is sure to keep your family occupied all day long. 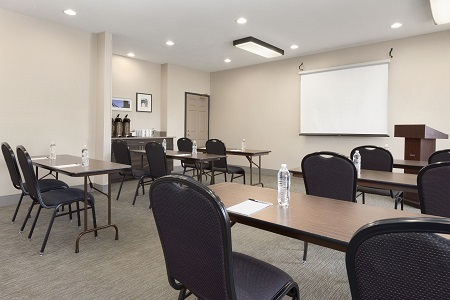 Able to accommodate up to 35 people, our event venue is ideal for small meetings, training sessions and social events. Our audiovisual equipment ensures you can give an inspirational presentation, while the free Wi-Fi and catering options are sure to satisfy your guests. Afterwards, celebrate a successful meeting with a group trip to Harrah’s Joliet casino.